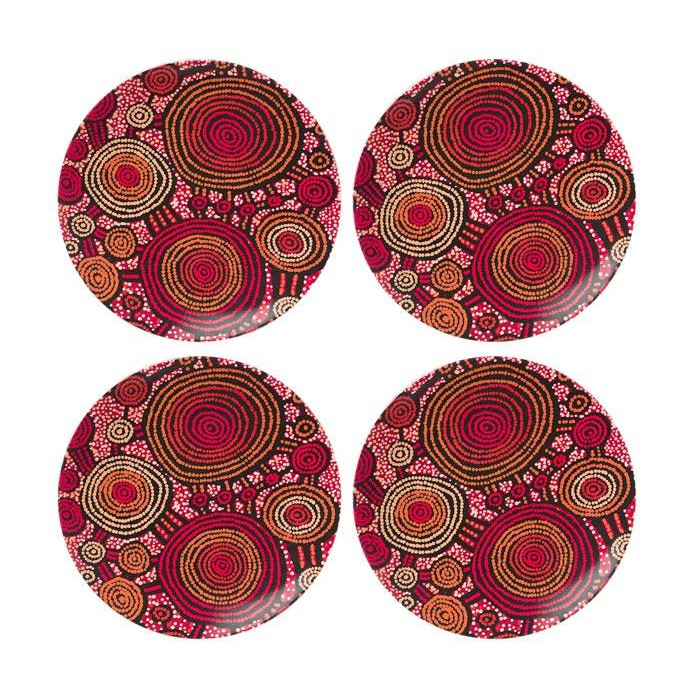 When it comes to souvenirs, there’s nothing scarier than those silver tourist teaspoons with a picture on the end… Put those away quietly and take out something still very Australian and much more beautiful: an Alperstein Melamine Plate Set. Made from 100% melamine, this lovely set is decorated with a beautiful artwork from Teddy Gibson and is perfect for a bit of outdoor dining. Royalties from this product directly benefit the artist and their communities. Presented as a set of four in an Alperstein Designs gift box, complete with information on the artist and their work.